As the nation’s chief diplomat, Hillary Clinton was responsible for ascertaining whether information in her possession was classified and acknowledged that "negligent handling" of that information could jeopardize national security, according to a copy of an agreement she signed upon taking the job. A day after assuming office as secretary of state, Clinton signed a Sensitive Compartmented Information Nondisclosure Agreement that laid out criminal penalties for "any unauthorized disclosure" of classified information. Experts have guessed that Clinton signed such an agreement, but a copy of her specific contract, obtained by the Competitive Enterprise Institute through an open records request and shared with the Washington Free Beacon, reveals for the first time the exact language of the NDA. "I have been advised that the unauthorized disclosure, unauthorized retention, or negligent handling of SCI by me could cause irreparable injury to the United States or be used to advantage by a foreign nation," the agreement states. Clinton received at least two emails while secretary of state on her personal email server since marked "TS/SCI"—top secret/sensitive compartmented information—according to the U.S. intelligence community’s inspector general. The State Department said in September that Clinton’s private email system, set up at her Chappaqua, N.Y., home, was not authorized to handle SCI. 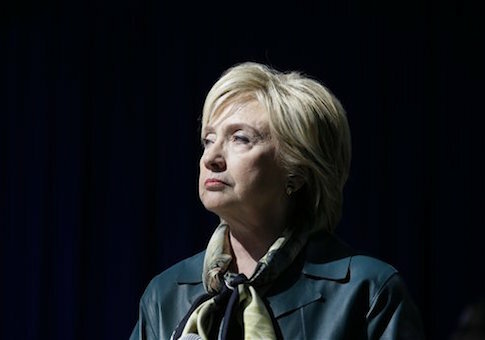 The Democratic presidential frontrunner defended her unauthorized possession of SCI and her sending of emails containing classified information by claiming that the information was not marked as classified when it was sent or received. The language of her NDA suggests it was Clinton’s responsibility to ascertain whether information shared through her private email server was, in fact, classified. "I understand that it is my responsibility to consult with appropriate management authorities in the Department … in order to ensure that I know whether information or material within my knowledge or control that I have reason to believe might be SCI," the agreement says. The Clinton campaign did not immediately respond to a request for comment on the NDA. According to government security experts, the type of information that receives a TS/SCI designation is sensitive enough that most senior government officials would immediately recognize it as such. "TS/SCI is very serious and specific information that jumps out at you and screams ‘classified,’" Larry Mrozinski, a former U.S. counterterrorism official, told the New York Post in August. "It’s hard to imagine that in her position she would fail to recognize the obvious." Additional emails on Clinton’s server contained information that was "born classified," according to J. William Leonard, who directed the U.S. Information Security Oversight Office from 2002 to 2008. "If a foreign minister just told the secretary of state something in confidence, by U.S. rules that is classified at the moment it's in U.S. channels and U.S. possession," Leonard told Reuters in August. Clinton’s NDA spells out stiff criminal penalties for "any unauthorized disclosure of SCI." The FBI is currently investigating whether Clinton’s private email server violated any federal laws. In addition to her SCI agreement, Clinton signed a separate NDA for all other classified information. It contains similar language, including prohibiting "negligent handling of classified information," requiring her to ascertain whether information is classified and laying out criminal penalties. It adds, "I will never divulge classified information to anyone unless: (a) I have officially verified that the recipient has been properly authorized to receive it; or (b) I have been given prior written notice of authorization" from the proper authorizes. Mills sent classified information to officials at the Bill, Hillary, and Chelsea Clinton Foundation in 2012, an email released by the State Department in September shows. Mills’ NDA required her to inquire about the classification of information in her possession if she was unsure about its status. However, her attorney said that she "presumed" that the information she sent to the foundation was unclassified because it had been sent to her at her unclassified State Department email address.